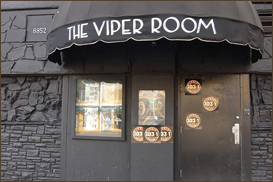 LOS ANGELES (CelebrityAccess MediaWire) — Sunset Strip nightclub, The Viper Room has been sold to Harry Morton, an entrepreneur and restaurateur. Morton, who founded the Pink Taco chain of Mexican restaurants has stated that he has no plans to change a successful formula. His father, Peter Morton gained notoriety by founding the Hard Rock Cafe chain and the Hard Rock Hotel & Casino. Morton has plans to expand the brand, with an eye towards opening clubs in Las Vegas, Miami, Portland, Seattle, New York, London and Tokyo, Billboard reported.